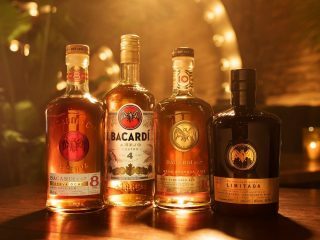 BACARDÍ rum is a natural mixer. Take inspiration from these classic rum cocktail recipes and make the drink that makes the moment. The tropical combination of light BACARDÍ Coconut rum and fresh pineapple over ice demands your attention. It’s a classy alternative to the creamy richness of a Piña Colada. Fill a highball glass with ice. Pour in the BACARDÍ Coconut rum and pineapple juice. Mix well. Garnish with a few pineapple slices cut in triangles. Add BACARDÍ Carta Blanca rum to the cool, crispness of freshly squeezed lime and mint on ice. You've just created a refreshing Original BACARDÍ Mojito – the perfect rum cocktail for sundown and other magical moments. The Cuba Libre perfectly captures the independent spirit of BACARDÍ. Mix BACARDÍ Carta Oro rum with cola, lime juice and lots of ice in a high ball glass. Finish with a lime wedge and drink a delicious toast to freedom. As you step into the evening, enjoy the Caribbean flavour of BACARDÍ Añejo Cuatro rum and ginger ale. Served over ice with a splash of fresh lime, this drink is the perfect refreshment for a summer's night. 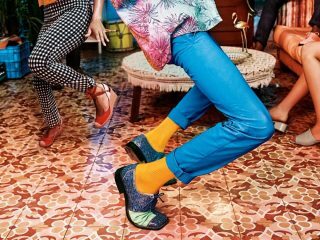 Our latest campaign celebrates through dance the individuality and freedom of spirit that BACARDÍ embodies. Take your enjoyment to the next level with our premium rums. Choose BACARDÍ Añejo Cuatro for sophisticated cocktails. Or enjoy the rich butterscotch and nutmeg notes of BACARDÍ Reserva Ocho. For a luxurious sipping experience it has to be BACARDÍ Gran Reserva Diez - barrel aged for ten years. Take your enjoyment to the next level with our premium rums. Choose BACARDÍ Añejo Cuatro for sophisticated cocktails. Or enjoy the rich butterscotch and nutmeg notes of BACARDÍ Reserva Ocho. For a luxurious sipping experience it has to be BACARDÍ Gran Reserva Diez – barrel aged for ten years.